Lots of people talk about the amazing community that has been built around ultrarunning. While I’m not yet officially part of that community, it’s easy to see the passion of that community if one starts reading blogs or liking specific things on Facebook. There does appear to be a tight-knit, if off-kilter, community around this sport. That said, the sport necessitates quite a bit of very selfish behavior. 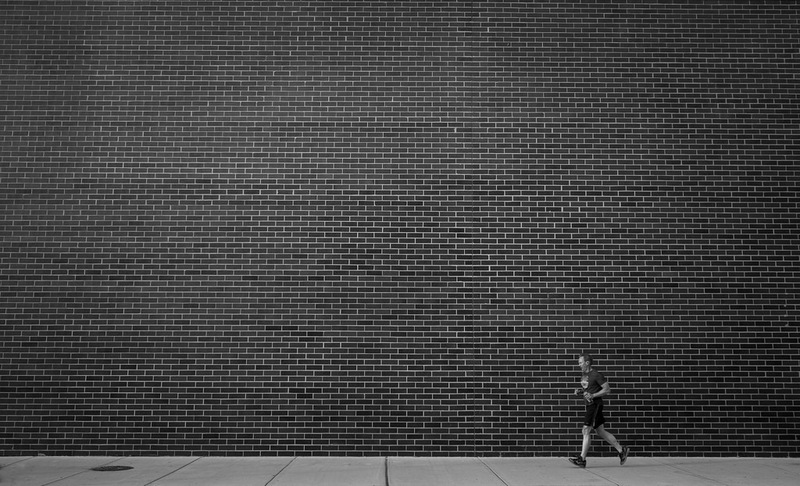 Like most of us, this fellow is running alone, but luckily he’s in front of the wall and not hitting it. There are, of course, the innumerable number of hours away from your family and friends simply running. Whether it be on the roads or the trails, most of us are pounding out miles alone. At this point in my training for a 50k in March, I should have spent over 200 miles on the road. (I say “should have” because I had an injury that cut out a few weeks of training.) At a average speed of 12 minutes per mile, that’s 40 hours in 7 weeks. If we add in some time on either side for warming up, cooling off, getting ready, showering, etc. we are easily talking about 7 hours a week or one hour a day. It doesn’t seem like much. However, for many people, removing themselves from the daily grind for an entire hour a day is likely quite difficult. For people with young children, like me, this time away can be an even larger burden on their loved ones putting them in positions of handling child care for longer periods than they might typically do so. It also robs us of that time with our loved ones which is clearly cherished, at least by most folks. Additionally, there’s the selfish, or self-centered, thinking that happens around running. Talking about and dealing with injuries or just aches and pains. Being picky about what you eat or, maybe more so, when you eat. Spending money on clothing, race fees, fancy sugar food, shoes, my god, the shoes. It all means that a lot of our head-time is spent thinking about what we want or need. So, if running ultramarathons is so selfish, why do people continue to do it and why do their loved ones seem to support it so passionately? It’s because this sport, not exclusively, but surely, makes those of us doing it or aspiring to do it into better versions of ourselves. For me, it keeps me in much better physical shape than I was in or would likely be in. Yes, I get aches and pains and injuries, but those pale in comparison to the long-term toll my previously sedentary lifestyle was taking on me. In my experience, it’s the most effective mental health medicine I’ve found. I’ve tried a bunch of others, Effexor, Paxil, Alcohol, Self-Harm, and nothing works as quickly or as predictably as going for a long run. Anxieties and thoughts of self-doubt or meaninglessness simply don’t exist in my head when I’m 9 miles into a run and see squirrels racing ahead of me on the trail. We also become, in many cases, unwitting, examples for those people in our lives who see us striving for the rarely attained. They see that it’s done not for glory or riches, in most cases, but simply for the ability to celebrate our continued existence. I never feel love so much as when my son says something like, “Did you have a nice run, Dad? I hope so. You smell terrible.” I feel like I’m setting an example of working hard for your goals. None of us are promised tomorrow and some of us struggle with the desire to even want tomorrow. So, if it’s a bit of selfish behavior that keeps us on this Earth and lets us contribute, even a tiny bit, to the goals of others, it’s likely time well spent with oneself. The Washington Post has an interesting, if slightly low on details, article here about what happens to a person’s body during an ultramarathon. Most of the information is in comparison to marathon runners which probably makes sense. One of the most important points here is that there are so few people who do this that the studies can be wildly biased. The author points out that many runners come to ultramarathons to reverse other health issues or as a sanctuary from “racing and winning” mentality that many marathoners adopt. In short, we are just different kinds of people who are likely looking for community and personal fulfillment over recognition. I’m being generous when I say “we” because as I write, I am not an ultramarathoner. I’m not even a marathoner. But if things go according to plan, I will become an ultramarathoner at the Bel Monte Endurance Races in March of 2016. These two books have gone a long way to increasing my confidence that I can achieve this goal. This article doesn’t tell me much more than the books one can find about ultrarunning. 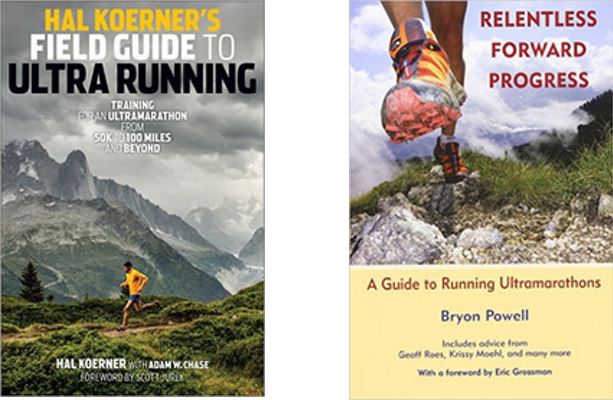 Two solid ultrarunning books that have helped me build confidence are Hal Koerner’s Field Guide to Ultrarunning and Bryon Powell’s Relentless Forward Progress. Both books are introductory in nature and while they may not be exquisite writing, they are functional in helping someone build confidence and avoid common pitfalls. Both also include training plans with detailed information on how to modify them. I’m hoping to document my journey on this blog as March approaches. I’ll be thrilled to announce that I am an ultramarathoner should I finish the race. If I should fail, then I’ll document that too and share my feelings and thoughts on what happens when you don’t reach your goals.